Lifetime has given a green light for the new feature movie, Patsy & Loretta, set to star Megan Hilty (Smash, The Good Wife) as music legend Patsy Cline and Grammy winner Jessie Mueller (Broadway’s Waitress, Beautiful: The Carole King Musical) as country icon Loretta Lynn. The movie, produced by Sony Pictures Television, is executive produced by Neil Meron, in his first solo project since the passing of longtime producing partner Craig Zadan. Debuting later this year, the movie will film on location this month in Nashville, helmed by award-winning director and TV’s Nashville creator Callie Khouri from a script by Angelina Burnett (The Americans, Genius) Patsy & Loretta also marks a reunion for Meron and Hilty who worked together on the musical series, Smash. Patsy & Loretta is based on the untold true story of the friendship between two of country music’s greatest icons, Patsy Cline (Megan Hilty) and Loretta Lynn (Jessie Mueller). When they first met, Cline was already one of the biggest stars in country music while Lynn was just a coal miner’s daughter, starting off with little to her name but a $17 guitar. Instead of seeing Lynn as competition, Cline took Lynn under her wings to help her make it in Nashville. Soon, they became close friends, touring together, bonding over their husband troubles and commiserating on being females in the male-dominated music business. Then in 1963, the country music community was struck with a tragedy when at just age 30, Cline died in a plane crash. Despite the devastating loss of her friend, Lynn continued on in the industry and is today, known as the First Lady of Country Music. To this day, Lynn remains grateful to Cline for her mentorship and above all, friendship, as the country music trailblazer that paved the way for Lynn. Patsy & Loretta is produced by Sony Pictures Television and Zadan/Meron Entertainment for Lifetime. Neil Meron serves as executive producer while Mark Nicholson, who runs development and production for Zadan/Meron Productions serves as co-EP. 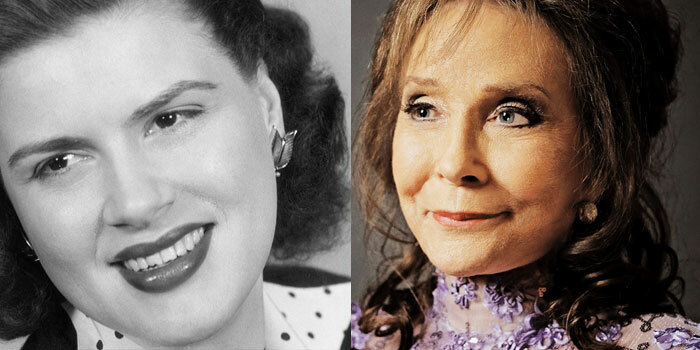 Co-producers are Loretta Lynn’s daughter Pasty Lynn Russell and Patsy Cline’s daughter Julie Fudge on behalf of Patsy Cline’s Estate. Oscar-winning writer Callie Khouri will direct from a script by Angelina Burnett.